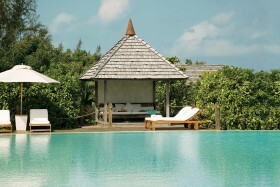 Set on the beautiful island of Providenciales in the Turks and Caicos Islands, Amanyara is a secluded haven embracing the untrammeled elements of the Caribbean. Manta House offers 2 self-contained bungalows, with optional breakfast services and a main guest house with 3 Bed & Breakfast suites. On the beach. Grand Turk. The main supermarket on Providenciales, the peoples choice for quality and convenience. Conveniently located on Leeward Highway.